Dragons have been known to save treasures since many years and they really like having lots of treasure. Here we bring you same dragon protection to save your treasure or say your valuables. 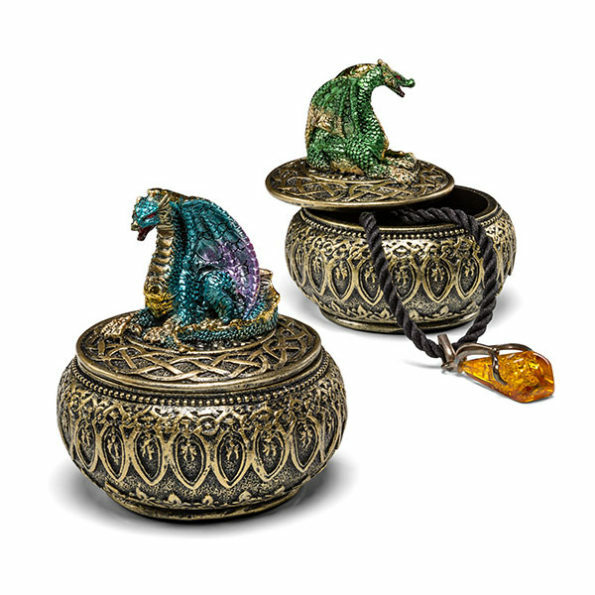 Buy this dragon Trinket box where two dragons are protecting the trinket box. You can select either blue or green dragons. Buy Now!